Among the other items on display will be a large Cavex hydrocyclone with a substantial 1 500 mm diameter and weighing five tonnes. With the company’s leading position in pumping equipment, the stand will also display the impressive Warman 450MCR pump, measuring 2,5 m in diameter. Dust control and fire suppression solutions will feature on the stand of ICAT, a company which sees huge value in Electra Mining. “It’s a great platform for I-CAT, as it showcases all role players in Sub-Saharan Africa, and enables us not only to display our products and solutions but to be exposed to new technology and methods from other participants,” says Andro Gibhard, head of the Fire Division of I-CAT Environmental Solutions. In terms of its ongoing contribution to improved firefighting methodologies for the mining industry, the I-CAT Fire Division has compiled a totally new protection protocol for underground conveyor belt protection, including redundancy protection. The protocol has been tested against various test scenarios identified in a risk assessment. In pride of place on the FLSmidth stand this year will be a 1:20 scale model of its REFLUX™ Classifier (RC) modular plant, representing – in more ways than one – the future of processing in the mining sector. According to FLSmidth Commercial Manager Terence Osborn, the RC plant is a good example of an integrated solution designed to meet a customer’s tailings-related risks and requirements. The RC plant embodies FLSmidth’s leading technologies as well as its innovative business approach. 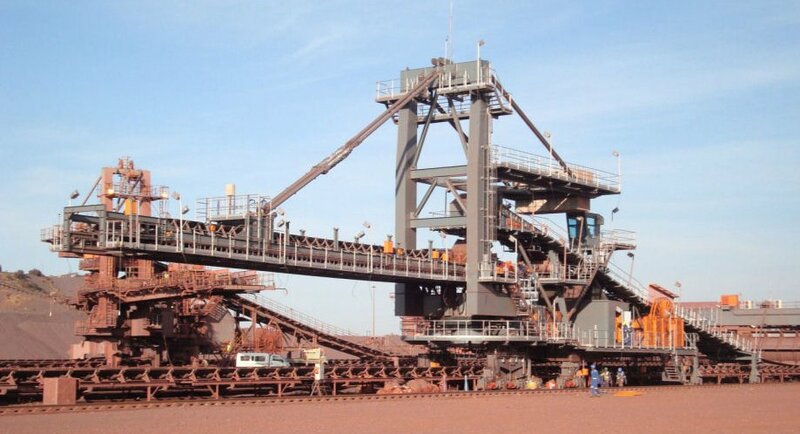 Equipped with advanced automation facilities, a full-size version of this plant is in operation for a mining customer on an outcomes-based toll treatment model. It treats waste product, or tailings, and recovers valuable minerals as a saleable product for the customer, without adding extra workload or risk to their operation. Proof Engineering will reveal a newly designed tamper proof spindle for Ex sockets alongside its latest range of Orion and Crater branded Ex glands. Part of the Hudaco group of companies, Proof Engineering leads the market in the design and manufacture of innovative flameproof, explosion proof and non-flameproof plugs, sockets, adaptors and cable couplers. Its extensive product offering is focused on the mining and tunnelling industries. Donovan Marks, Director at Proof Engineering, says that the innovative tamper proof spindle, developed by Proof Engineering in close collaboration with an end-user, is a must-see on their stand. Thanks to its innovative design, the plug can only be removed once the circuit has been isolated, contributing to the safety of underground mine personnel. Proof Engineering will be exhibiting alongside sister company, Powermite, a specialist supplier of electrical and mechanical equipment for moving.